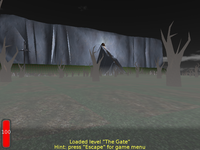 "The Castle" is a first-person shooter style game in a dark fantasy setting. Your main weapon is a sword, so the fight is mostly short-range. 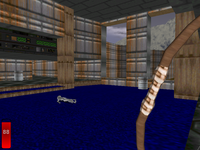 3 main levels included, packed with creatures, items and sounds. Also a couple of bonus levels are available, for fun and to show off some engine features. In particular, there's the classic DOOM E1M1 level — I know you always wanted to have a sword and a bow in DOOM :) Enjoy ! See news for the list of changes since last release. This is free software, so if you're interested you're also welcome to download game sources. To hear game sounds you should first install OpenAL and vorbisfile library. If installing the older OpenAL Sample Implementation from Loki be sure to install also libvorbis-dev package (i.e. with developers symlinks) too (otherwise SI reports that vorbis extension is present, but will fail to use it). This problem is not present with newer OpenAL-Soft, as it doesn't have vorbis extension and we will use our own handling then. If you don't want to hear sounds, you don't have to install OpenAL. Installing actual game: extract the downloaded archive anywhere. Run the game by running the binary, like ./castle. If you don't want to always run the binary from the game's directory, you can also put the game binary anywhere on $PATH (e.g. $HOME/bin or /usr/local/bin) and extract the data to to $HOME/.local/share/castle/, or /usr/local/share/castle/, or /usr/share/castle/. The game requires X11 server, libpng and (if you want to hear sound) OpenAL with vorbisfile. See Mac OS X dependencies for simple instructions how to get them. Installing actual game: extract the downloaded archive anywhere. Run the game by running the binary, like ./castle. You can also install / symlink in special directories, see above Linux notes. OpenAL and vorbis libraries are already included in the archive. So you don't have to install OpenAL yourself. Installing actual game: extract the downloaded archive anywhere. Run the game by running castle.exe. Note that from the game you will be able to choose various audio devices (see menu Sound options). I advice to check both devices. Under Windows Generic Software device often sounds better than the default one. On the other hand, as far as I know, only Generic Hardware can produce sound better than stereo, if you have more than 2 speakers. Short gameplay sequences, and playing around with shadow volumes. Spoiler alert: the first half of the movie shows levels you will see later in the game. 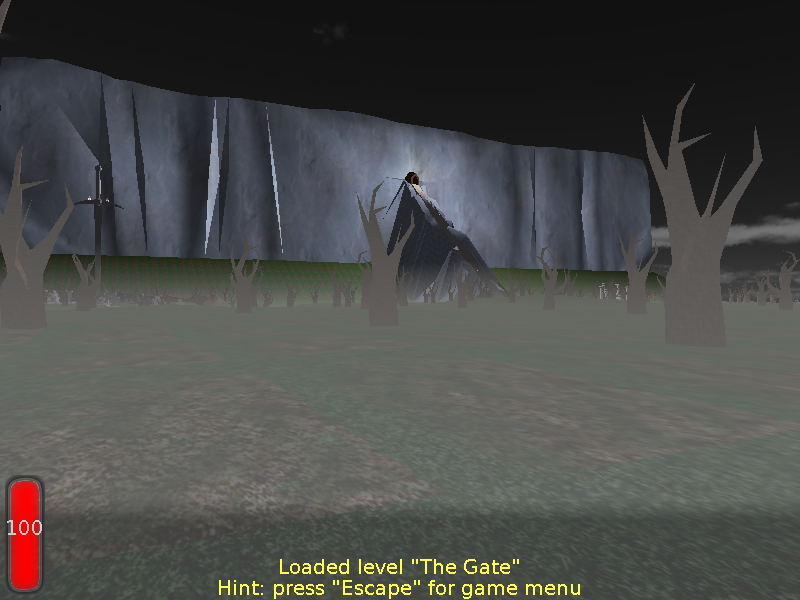 Playing through The Castle (walkthrough) by "qubodup". Spoiler alert: this is a complete walkthrough :) Watch if you get stuck, or if you don't want to play the full game!